Ah, the wedding venue. It's one of the earliest and most important wedding decisions you'll make (and it can come with it's fair share of squabbling, let me tell you). 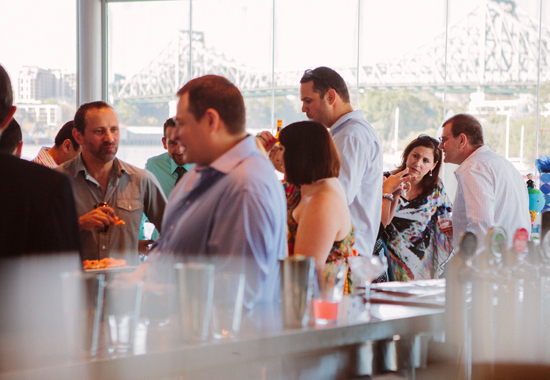 There's so much to think about; food & drink, music, decorations…the list goes on. Not only that, but you want it to be unique and reflective of your personality as a couple. It can be exhausting just thinking about it. But don't worry, we've thought outside the church altar to come up with this list of superb Brisbane wedding venues to kick start your search. No, this is not a suggestion that you have a water-based wedding atop a wobbling kayak. Riverlife is quickly gaining a very deserved reputation as one of Brisbane's go to wedding venues. And with enviable—and quite frankly, unmatched—views of the city, river, and botanic gardens, you couldn't ask for a better positioned venue to say, "I do". The added bonus? Riverlife is BYO, so all you discerning brides and grooms with particular tippling tastes can rest assured that nary a cheap vino or sub-par hops will soil those tastebuds; you have free reign over the drinks list! Couple that with a range of all-in-one-packages for a variety of sizes, and voila, you have yourself one dream riverside wedding. Okay, so getting married in one of Brisbane's best nightclubs may seem like something only those with a penchant for partying would be keen on. But Cloudland is actually home to a bunch of great function spaces, each with it's own unique character—but still very much within the renowned Katarzyna style—and perfect for a glamorous urban wedding with a difference. DIY, BYO: there's no better way to tailor make the ultimate celebration of your love than being able to choose your own drinks, your own caterer and, well, pretty much everything. Lightspace falls into a growing category of city-based studio spaces hiring for weddings. This particular gem is tucked up in the heart of Fortitude Valley with serious urban-chic credentials. Think disused warehouse that has had a serious polish and shine and you're on the money. Lightspace's in-house wedding co-ordinator will even help you plan the big day. What wedding stress? Bookworms and librarians may already be on to this, but State Library of Queensland has beautiful, architecturally-designed spaces that are perfect for nuptials. 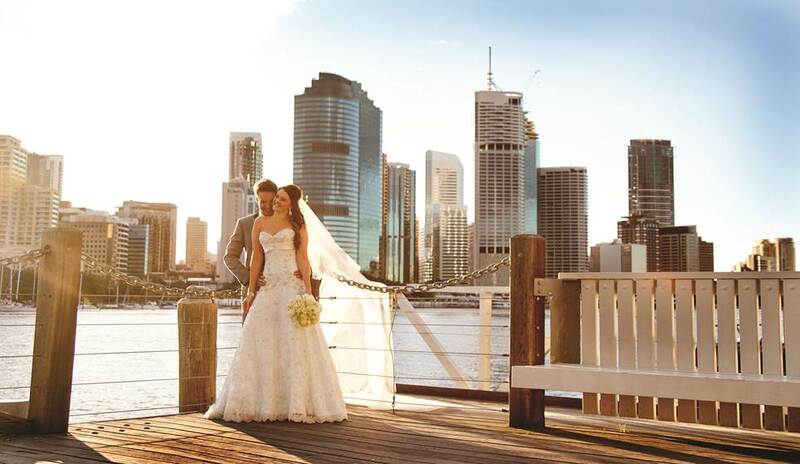 With river and city views, both the Queensland Terrace (capacity of 300 cocktail-style, and a quirky teacup and saucer collection), and the River Deck are ideal locations for an intimate wedding in one of Queensland's cultural institutions. Decadent décor? Tick. Delicious food? Tick. Beautiful wine? Tick. Stunning outlook? Tick! Who said wedding planning was challenging? Mr & Mrs G has done all the hard work; all you need to do is show up (well, there's probably a little more involved than that) and enjoy your special day!